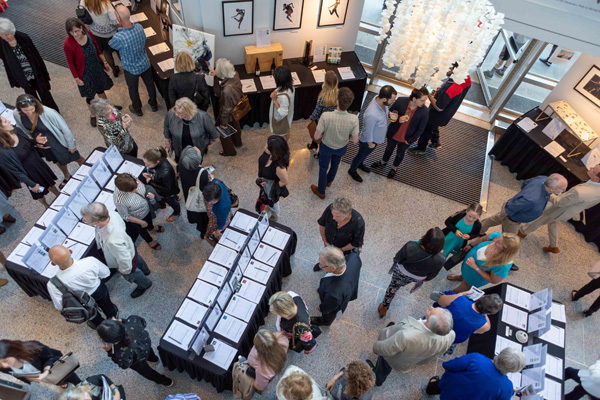 Our annual Silent Auction returns with luxury items and Ballet BC memorabilia. You will find items online and in the Queen Elizabeth Theatre lobby during Program 3 on May 9-11. Shop for exclusive Ballet BC experiences, travel packages, artwork, and more! Funds generated through the silent auction directly support our artistic and educational programming including student and community dress rehearsals, movement workshops for youth, and dance classes for adults. We appreciate your part in supporting Ballet BC, our vision, and the arts. Stayed tuned for more details! For inquiries, please contact silentauction (at) balletbc.com. Event photo by Andi McLeish.